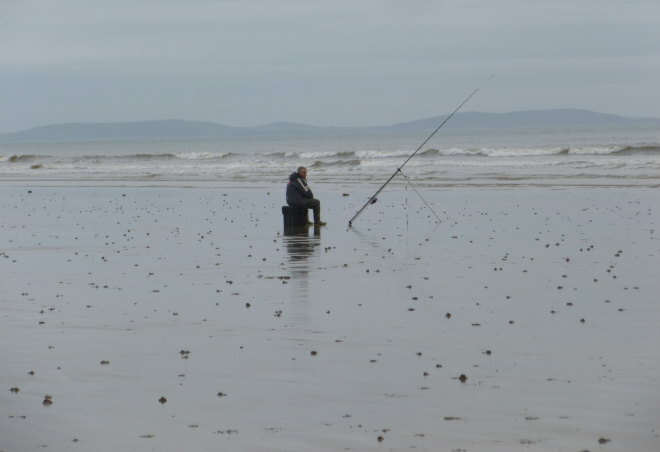 I spied this fisherman on the beach at Pendine near Laugharne. At least, I assume he’s a fisherman, although I never saw him make any visible attempt to catch a fish. As the tide swept in, he backed away from the waves. In fact, it was almost as though he was only pretending to fish, while surreptitiously awaiting the start of some momentous sea-borne event. What do you think might be happening here? 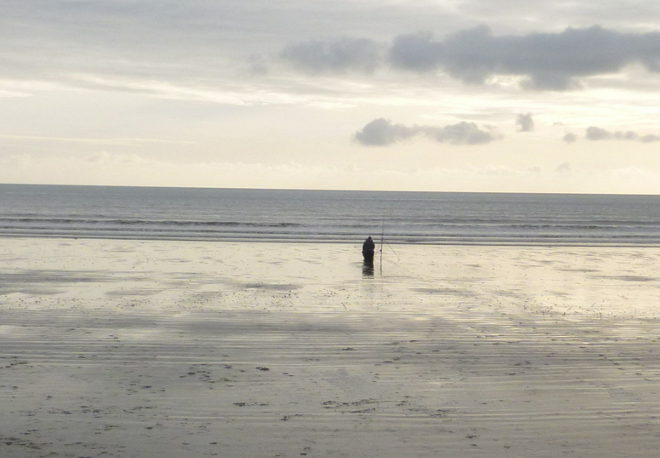 This entry was posted in Writing prompts and tagged creative ideas, ephemera, inspiration for writers, Pendine Beach, story ideas, writing inspiration by Judy. Bookmark the permalink.